As I struggled up the last hill towards home, the thought of a big lunch dampened the pain on my burning legs. I was ready for my reward after an overly-ambitious bicycle ride with the boys–lots of food! I inched along, mentally itemizing the contents of my refrigerator and pantry. This was one day when carb-loading would be enjoyed guilt-free. Pasta? Check, but I didn’t want to spend time on the stove to make a sauce. Then I remembered that I had leftover kale and cabbage from the previous night’s salad; a sesame vinaigrette would be easy to whip together. What got me up the last quarter mile climb? 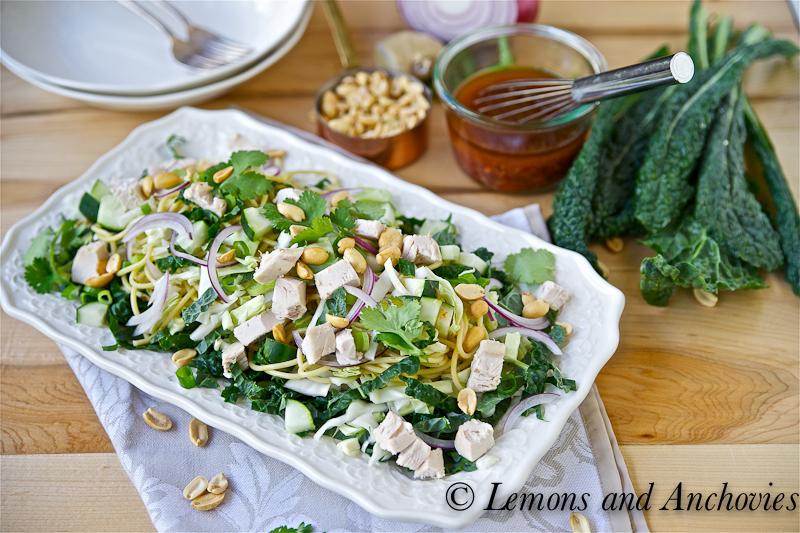 The thought of filling my belly with an Asian-style noodle salad. Normally, a simple plate of noodles tossed in a ginger-sesame vinaigrette is enough to satisfy me but with the joy of completing a ride that I didn’t think I would finish came the motivation to throw in whatever else I could to kick up a notch an otherwise very basic dish. This may have been the product of odds and bits I had in my refrigerator but after tasting it the first time I wouldn’t make it any other way. All of these ingredients were meant to be together (well, my husband would like me to omit the cucumber but I happen to like it) but adjust to your liking. If you don’t like peanuts, use almonds. If cilantro tastes like soap to you, use parsley. 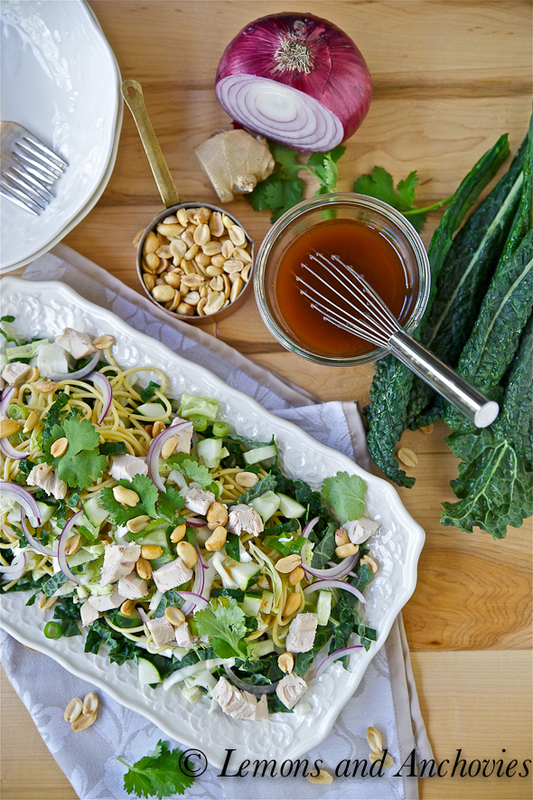 Omit the chicken if you want this to be vegetarian but in my opinion you can’t have too much kale and cabbage in this noodle salad. As for the dressing, it’s a simple base of rice vinegar, sesame oil, soy sauce, ginger and garlic but I like to spice it up a bit with sambal oelek. Feel free to add your favorite chili sauce instead. I’ve served this three or four times in the last couple of weeks…hopefully, you’ll like it as much as I do. 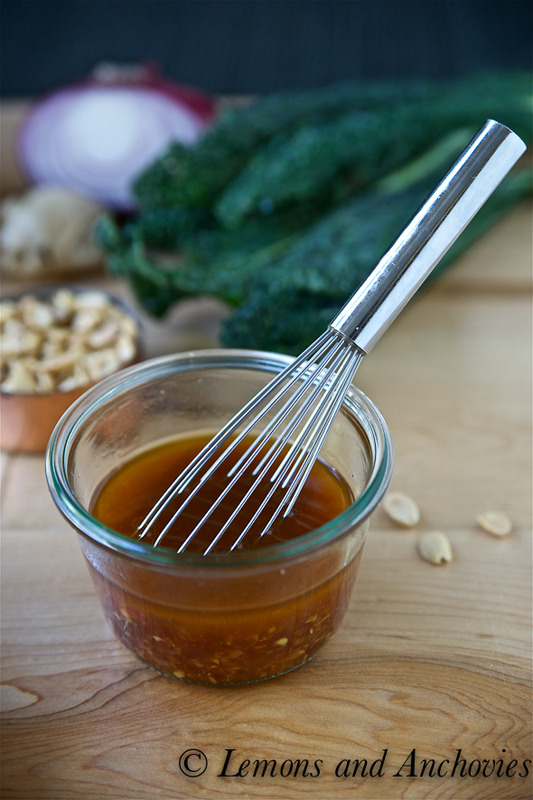 To prepare the vinaigrette, combine the ingredients from the vinegar to the oil in a bowl and whisk until emulsified. Taste and add a pinch of salt if you feel it needs it. Set aside while you prepare the salad. In a large bowl, combine all the salad ingredients together and add the vinaigrette (in increments until it's the way you like it). Toss together, plate and serve. Use the proportions as a guide. Add more or less of the salad ingredients that you like. I love this salad, Jean! I wouldn’t change a thing either – it’s perfect (cucumber, cilantro, and all!) :). This salad looks so colorful and delicious with different textures and ingredients! A scrumptious salad! So refreshing and flavorful. Great combination of textures. Thanks, Nancy! I guess we’re both married to cucumber-averse guys! Mine asked me, “can you tell me what cucumber is ever good in?” Too funny! Of course, I had a few examples to give him. What a feast for the eyes *and* the tummy, post work out. I often find myself craving carb heavy foods after a workout, but what I love about this is that is has so much lightness and freshness, that it won’t sink to the bottom of the belly afterwards. All too often you feel like you cancel out the exercise with the following meal, but in this case, I know I wouldn’t feel guilty! Liren, I can’t tell you how many times I’ve returned home from a workout only to cancel out all the calories I burned in one meal! Yes, this one at least doesn’t leave me feeling guilty afterwards! Yum, I’d race home on my bike too. Probably not on hot dog dudes though, lol. I have some rice noodles in the fridge that I needed something to do with, this sounds great to me. It sounds like you have gotten back out there with your bike. Hope you are having a great week, mine is going way too fast. My week has gone way too fast, too. Hope you have a wonderful weekend! I too would leave out the cucumber as it’s not to my liking but the rest of this would go down very nicely. I love leftover nights because the imagination has to come into play to create something palatable with all sorts of odds and ends. I have to just minus the kale and that dish would make me so happy. Love sesame noodle! Love the set up of the first photo. Jean this is my kind of salad, I love all the Asian flavors here! What an awesome salad. I seriously love everything about it, from the marriage of flavors to your gorgeous presentation! Oh, you are living such a healthy lifestyle that I am starting to feel like the “bad kid” in school who eats lots of junk! LOL! Your noodles look fantastic! In fact, too fantastic to eat…! So beautifully presented, as usual, Jean! Gorgeous! Definitely would get me to finish a run! 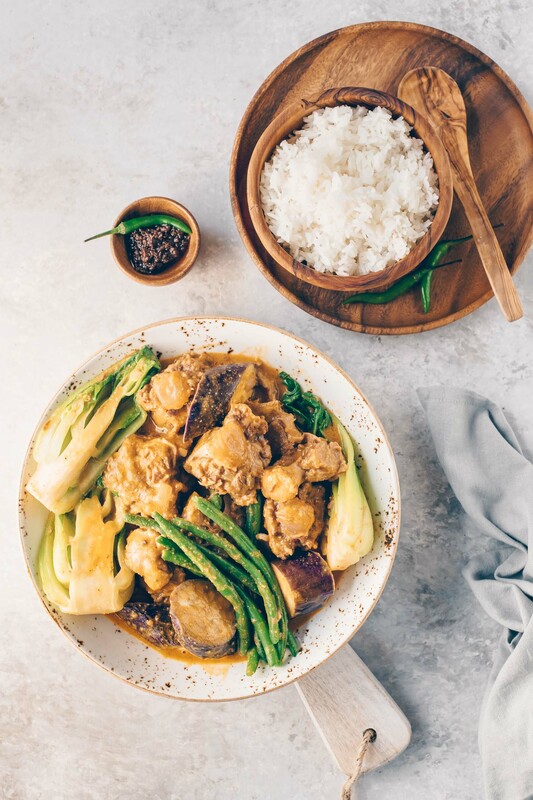 I love Asian flavors and noodle dishes are a favorite. 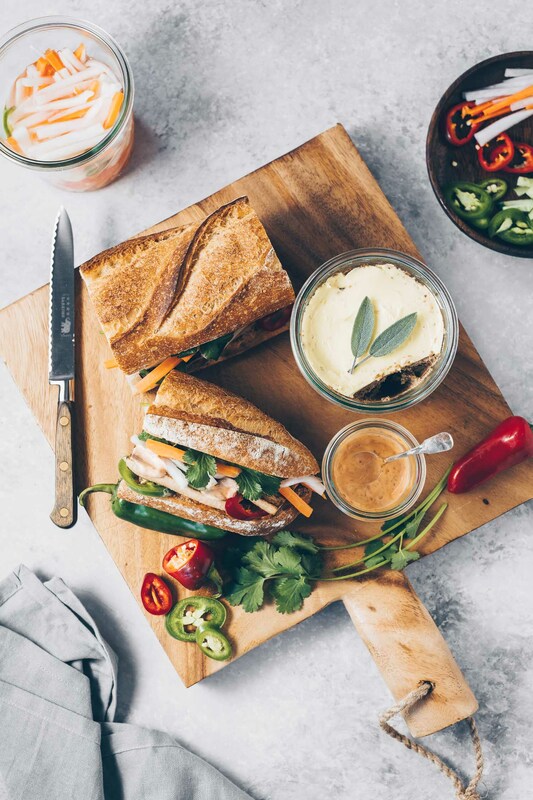 This looks lovely and full of fresh flavors! 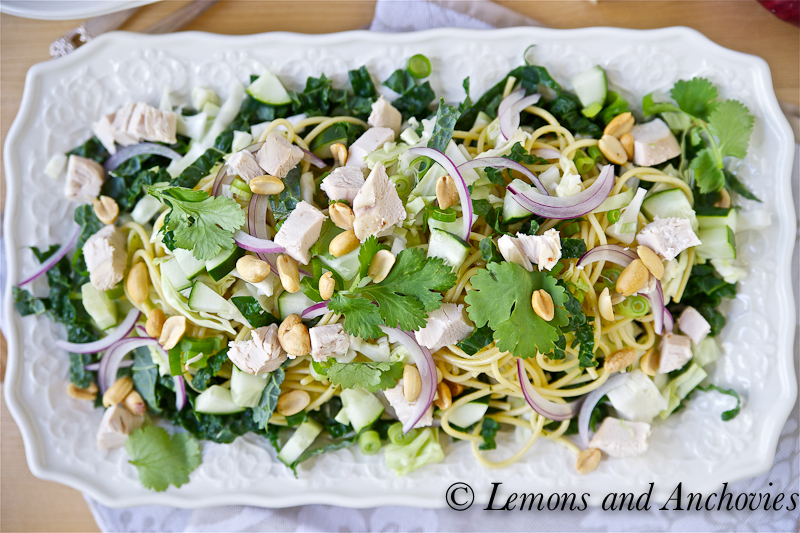 This is the kind of noodle salad I could eat all summer long! Funny… up until about 15 years ago I couldn’t handle even the smell of sesame oil. Now, however I simply cant get enough of it! Liv, on the other hand has loved it since she was little. I can almost count on any recipe with sesame oil to be a hit with her. And now that she has entered her teenage years, the peer pressure from friends had her trying a salad here and there. Lately she can’t get enough salad either!! I’ve yet to mix the two, salad and the sesame oil, together yet, but I’m going to try this one. And on another note… your photos are SO beautiful!! !